Well I’m back in the UK, after what was a pretty great trip, which took in Tahiti and New Zealand, with fishing buddies Mat McHugh and Paul Procter. It’s a long way to go, however the fishing proved to be as good as we had hoped (at times!). Our experiences in Tahiti were somewhat hindered by the weather, which was very poor for 5 out of the 6 days we were fishing. 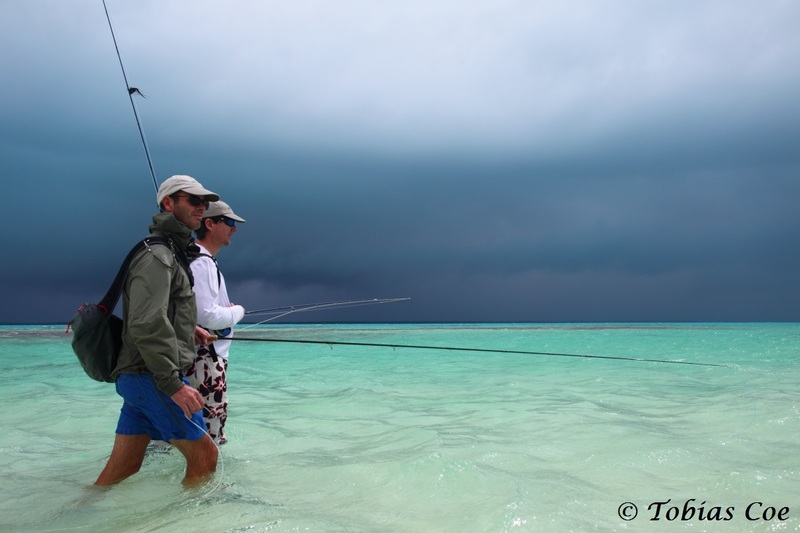 We experienced strong winds, rain and low grey cold which meant it was difficult to spot fish, as well as making it uncomfortable to get around the atoll by boat. That said, we still managed to catch a few bonefish, trevally and a hodge-podge of other tropical species. For the one day when the weather broke, we got to see a glimpse of what the fishing could be like and saw and caught plenty of bones, as well as experiencing some great fishing on the reef edge. Paul and myself got particularly excited about the latter, as we saw some clonking bluefin trevally and landed a heap of fish including red bass, bluefin trevally and even a small Napoleon wrasse. A key contributor to being able to fish in this environment is the gear you use. Rods and fly-lines need to be strong as you often have to hook the fish then simply hang on to stop them hitting the coral. In order to fish in a place like this you also need to be able to actually get there. To do so, high quality footwear is a must to protect from the sharp edges of dead coral (don’t stand on live coral! ), rocks and urchin spines. I took a pair of the Orvis flats hikers and they were absolutely excellent. 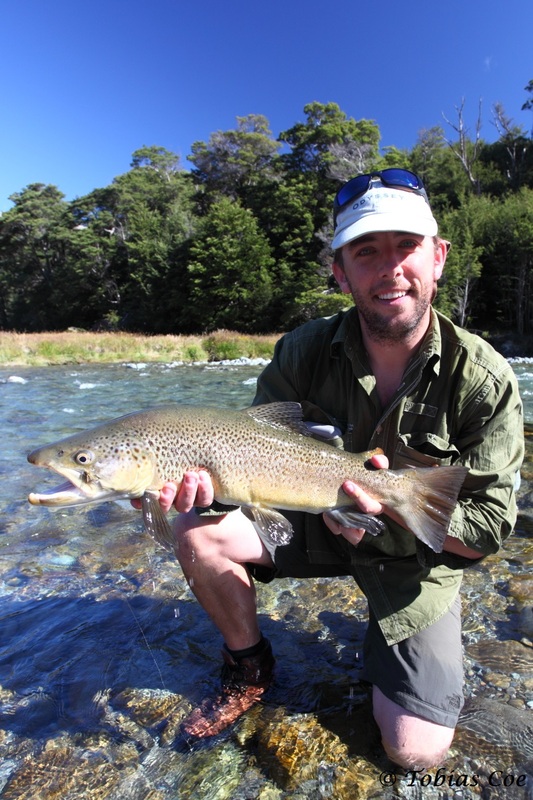 From Tahiti, it was on to New Zealand, to fish the famous waters of this country that is so famed for its trout fishing. We flew into glorious weather, with temperatures in the high 20s in Queenstown. This weather persisted for our first day of fishing and Paul Procter and I took the opportunity to head up to a trophy water in the Southland area, where we managed to catch some cracking fish, including a nice fish of 6lb 5oz for me. The rest of the week was a bit of a mix weather-wise. The hot, sunny days were matched by days of grey cloud and rain. We still managed to catch fish in all circumstances, however, including some willow-grubbing fish (more about that later). I used the a 5wt model of the new Orvis Recon rod for almost all of my fishing and highly recommend it. 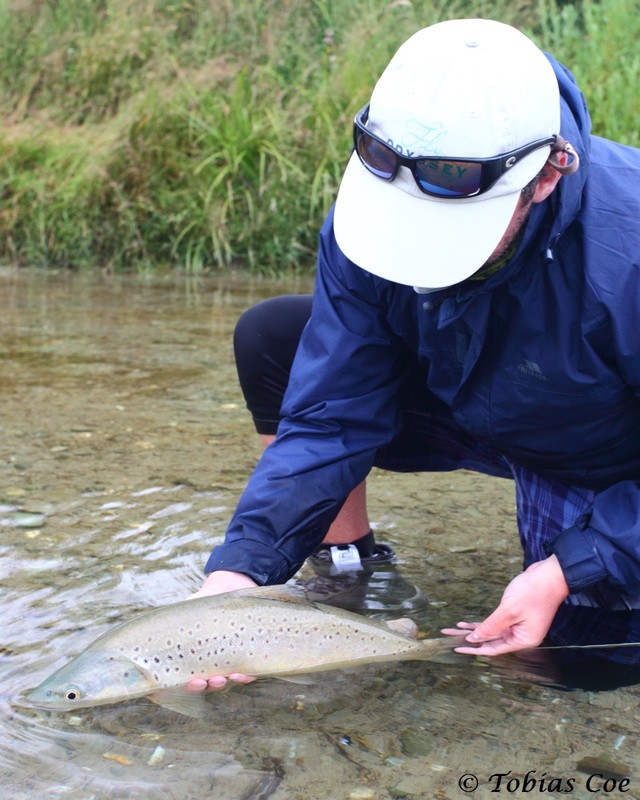 It was a great rod to cast and had plenty of back-bone to muscle big NZ trout away from snags.